For many years, Paul Kellogg, the show's creator, owner and host, felt that there is a need to convey to future generations stories, heritage, music and the arts that make up a unique culture in the Maritime Provinces of Canada. Since his background was in radio and entrepreneurship (see "Your Host - Paul Kellogg" page), he realized he could promote the arts and support local artists, musicians and business-people through the radio format of more classical programs such as "Vinyl Tap," "Finkleman's 45's," "Prairie Home Companion" and "Vinyl Cafe" -- mixed with a Maritime flavour as its base. 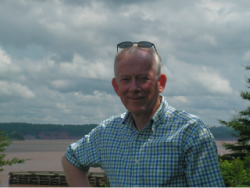 Along the way, he also discovered unique and very interesting residents and visitors to the Maritimes; and he has brought them all to you through the magic of radio and the Internet. They were Paul's angry response to canned radio that lacked substantive content over many of the current airwaves offerings of today. In order to give the shows more depth than a single host could offer, Paul's format places his guests in the co-host chair. There, they tell their stories in their own words; they present the music that influenced and inspired them, their parents and siblings; and they even showcase their own work. The co-hosts come from all walks of life: musicians, composers, singers, artists, actors, poets, columnists, newspaper editors, novelists, business people with unusual creativity, idea incubators, playwrights, festival co-ordinators, historians, archivists, ocean racing sailors, event coordinators, program facilitators, photographers, fisher-folk, farmers, boat builders, house restorers, arts promoters..... The choice is so wide in such a rich culture as the Maritimes that the show will never be wanting for interesting co-hosts. Paul even invites listeners to suggest future guests (see the Contact Us page). In each segment, interviews are held as a kitchen-table chat, sandwiched between music chosen by the regular host and his guest. The resulting informality results in interesting, amusing and sometimes beautiful moments, showing what makes these people tick and why we like them so much! 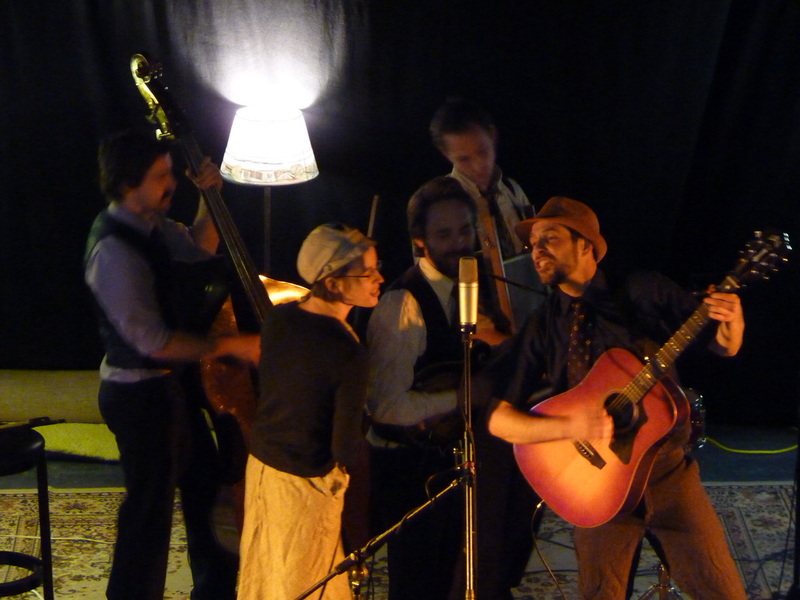 The first Bluenose Opera House production was recorded in front of a live audience -- with live music -- in the Old Confidence Lodge Studio and Stage heritage building in Riverport, Nova Scotia on April 9, 2010. 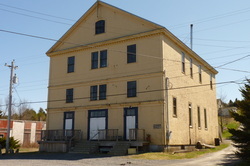 The building, originally built by the Oddfellows in the form of one of many opera house performance centres in Nova Scotia had just been bought by Diego Medina to be renovated into a production and performance studio. (For more on Diego, listen to Show #17 in our archive.) Audience and performers alike shivered in the unheated structure for hours as the show was assembled -- but everyone had a roaring great time! 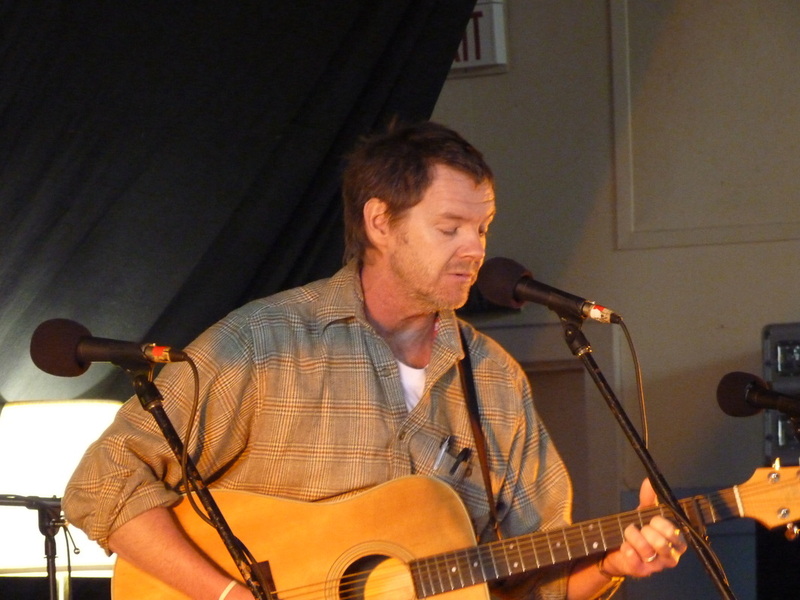 The Guest Co-Host that day was novelist William Kowalski; and in addition to recorded music from the likes of Matt Anderson and Lennie Gallant, the show featured live performances by Ian Sherwood, Coco Love Alcorn, Morgan Davis, Midlife Crisis, The Smokin' Contra Band, Darren Arsenault, Jamie Junger and Joyce Seamone. 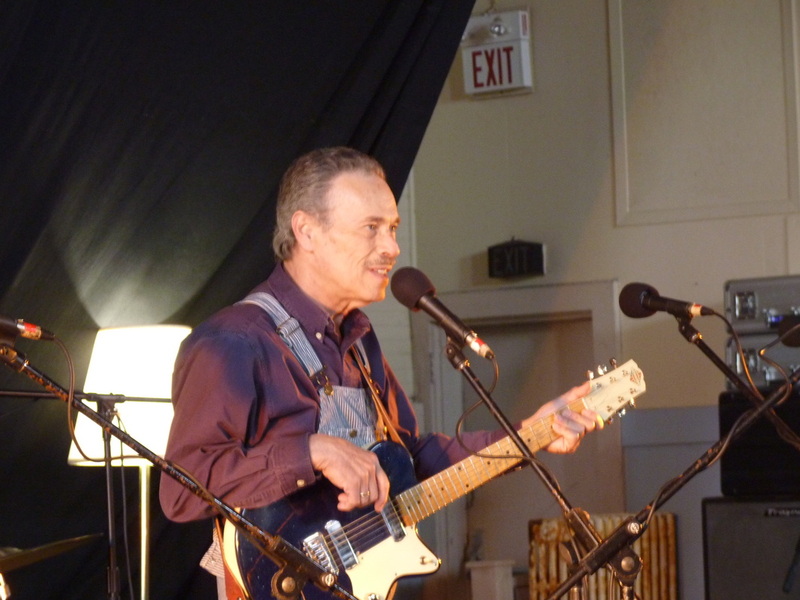 As an independent, self-financed show, it could not continue to be created live and is now recorded and edited in the Otitis Media studio in Lunenburg, NS. But no matter how it is assembled, this show will be known as the place where Maritime culture was preserved in its many facets for us to enjoy when we take the time to slow our day's pacing; and for future generations to be enriched.